"I want to write about women's issues and I want women, and others, to feel like they have a champion in me," says showrunner Ryan Murphy. Considering the critical and commercial success of "American Horror Story" and "American Crime Story," it is no surprise that FX has ordered a third scripted anthology series from Ryan Murphy. The new series, "Feud," will explore a different—and notorious—grudge each season. What is surprising is the topic. The inaugural edition, "Feud: Bette and Joan," follows the rift between aging actresses Bette Davis and Joan Crawford, which reached its peak during the making of the 1962 feature film "What Ever Happened to Baby Jane?" Is it good campy fun? Yes. It is also melodramatic, engaging and topical. 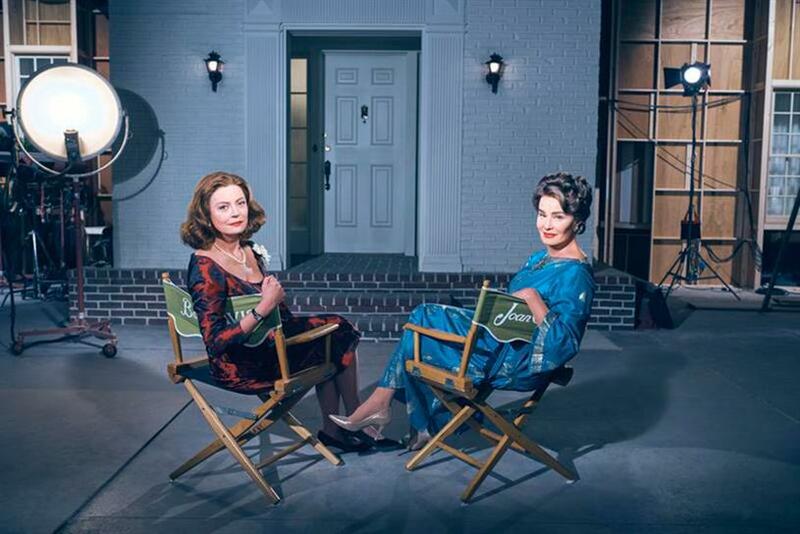 With Susan Sarandon as Davis and Jessica Lange as Crawford, the show explores the struggle of these two once-renowned actresses as they battle to remain relevant in youth-obsessed Hollywood—a perennial feminist bugaboo. "Although this show is set in 1962, the themes and the issues are still modern and they still very much exist," said Murphy in an interview. "Of the things I am really proud about with 'Feud' is that there are, I believe, 15 roles for women over age 40. While this one series will not change the perception of growing older, I think it sheds great light on it." It's hard to argue with that. So kudos to FX for airing this show about women over 40 played by women over 40 and understanding the value of programming to a broad audience. "[FX President and General Manager] John Landgraf did that with shows like 'The People v. O.J. Simpson' and 'Atlanta,'" Murphy continued. "And he did that with 'Better Things,' which focuses on a woman over the age of 40. And I really wanted 'Feud' to tackle the women's issue thing in our culture, where ageism continues." But as the show's premise makes clear, young audiences aren't known for embracing tales of middle-aged women. So why does this much-neglected demographic continue to be a focus for FX? "For a long time, FX felt like a frat house; I did 'Nip/Tuck' back then," said Murphy. "But in the last five years, I think what John Landgraf has tried to do with this network, and I have tried to do with my programs, is bring different people into the mix and go after certain segments of the audience that felt neglected." But of course, FX isn't buying any show that doesn't promise some millennial appeal. And Murphy believes that Feud has just enough contemporary resonance to build a cross-generational audience. "Everybody certainly knows who Jessica Lange and Susan Sarandon are, and Jessica has been the star of 'American Horror Story,' which has a tremendous foundation among the adult 18 to 49 demographic," said Murphy, who has been looking for an outlet to tell this story since buying the script "Best Actress" in 2009. And who knows? Make "Feud" cool enough, and you might event seed some millennial interest in their parents' generation—which can only benefit FX. "If someone not familiar with Bette Davis or Joan Crawford can watch my show and then go and download 'The Letter' or 'The Little Foxes' or 'Mildred Pierce' and get educated with Hollywood history, I think the reputation FX now has for taking risks and understanding the value of appealing to all age ranges will only deepen," he said. "Feud," which debuts this Sunday at 10 p.m. ET, also features Judy Davis as gossip columnist Hedda Hopper, Alfred Molina as director Robert Aldrich, Stanley Tucci as Jack L. Warner, Catherine Zeta-Jones as actress Olivia de Havilland, Dominic Burgess as actor Victor Buono and two Ryan Murphy regulars—Kathy Bates and Sarah Paulson—as actresses Joan Blondell and Geraldine Page. Murphy said his vision for 'Feud' was born after he created the Half Foundation through his 20th Century Fox Television-based company, which ensures that 50 percent of all the directorial slots on his series go to women, people of color or the LGBT community. "I want to write about women's issues and I want women, and others, to feel like they have a champion in me," said Murphy. "And I felt this tale of Bette Davis and Joan Crawford was the perfect type of story for a network like FX known for pushing the envelope." FX has already renewed "Feud" for a second season, this time with an order for 10 episodes. But there is no confirmation at present whom or what next season will focus on. "It won't just be Hollywood stories and it will not just focus on two women," explained Murphy. "The beauty of the concept is it is open-ended. I would like to back in history and maybe tackle something from the 16th century, or keep it modern perhaps." Donald J. Trump vs. Rosie O'Donnell anyone?